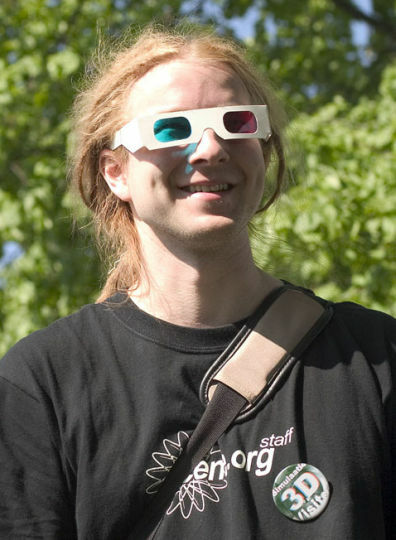 My name is Matti Palosuo, also known as Melwyn in the demoscene. I am currently having a hangover - which means i can't do much else either than answer your questions:) My first demoparty was Assembly '95 and I've been doing demos ever since. Most notable releases are probably Fukwit Daddy by Haujobb (1st place at The Party '99 64k intro compo), Art by Haujobb (2nd place at Assembly 2000 demo compo) and Time Index, a co-op 64k intro by Haujobb and Farbrausch (2nd place at Simulaatio 2003 64k intro compo). Also, besides Haujobb and Farbrausch, I'm a member of Slengpung and Scene.org, and more on the organizing side there. This is a hard one. There's been lot of good moments, so it's hard to pick one. Winning The Party back in 1999 was a big thing then, especially as Fukwit Daddy was also the first major production I was involved with in Haujobb. Sort of started a landfall and suddenly we were on the top. :) Can't say a specific thing here, but let's say I'm often put down by some people in the scene who are trolling or causing general disorder and not doing anything creative themselves. I don't think everybody needs to do demos, but somehow the biggest complainers are the ones doing nothing themselves. This can be seen on various web forums (Pouet et al), parties, etc. FR won Icons07 with a demo that wasn't quite expected from FR, what can you tell us about this demo and the reaction of the demoscene on it? The demo, 828, was a solo project by Visualice. Of course with help of others in the group (Werkkzeug3 was used), but it was Timo who made all the hard work on it. The demo has created lot of controversy and I'm not sure if I can understand even myself all of it and what's going on there. But I like the fact it has stirred emotions in otherwise often bland crowd. People seem to either love or hate it. For all the people saying that we should do another "Popular Demo" - perhaps there will be one, but one thing I really like about in Farbrausch is that there's no borders or some artificial limits on what kind of demos people in the group can make. What are you doing for a living in normal life? Currently I'm a student at the Helsinki University, trying to get my thesis done somewhere during the next years, either from computer science or music science. I'm also a game developer by heart, even if not working in any company at the moment. Can you tell us something about your current projects? Well, the biggest project by far is the Scene.org Awards, now being arranged for the 5th time. It may seem like an easy job to pick best demos each year, show them on screen and hand out some prizes, but there's quite a bit of work behind it, too. :) In the scene otherwise, I'm trying to find some time to demos when I can... with little success lately, if we don't count the Scene.org Awards invitation on Nintendo DS, which was a rather small production. Hopefully I have time for another 64k intro in future, as that's the format I like the most. Or rather an artificial limit that makes doing things fun! 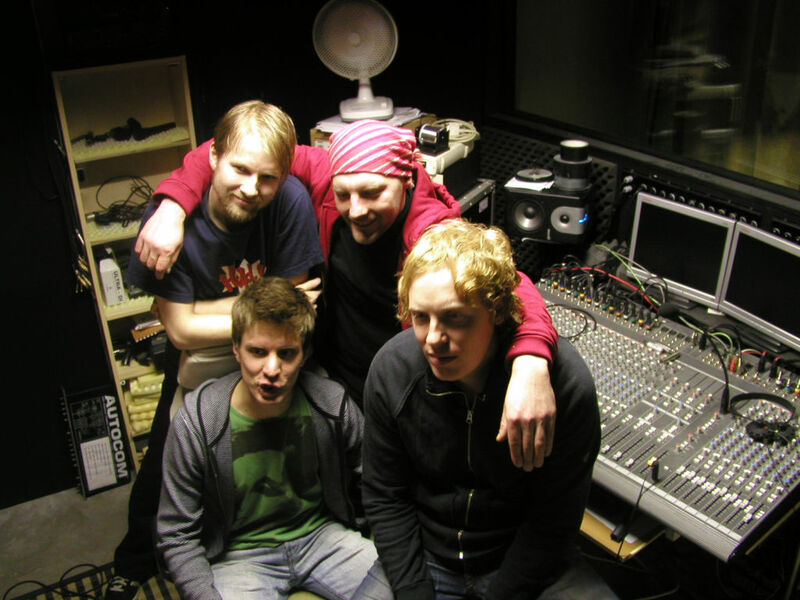 Please name your 5 most favourite musicians from the demoscene and tell why they are your favourite. Two old time favourites from the 90's: Dune (nowadays Brothomstates) and Groo. The former did amazing tracks for various Orange demos and is perhaps one of the reasons why idm style has become so popular in the scene. Groo on the other hand had a very original style and his real-life instrument, bass, brought a lot of live feeling to music in an era when most of the tracker music was crappy demopop. :) Out of musicians that are still active in the scene I could pick up the following: Little Bitchard and Mel Funktion, both alone and together - and especially together, since that's when the combo really kicks in. Mel Funktion has magical touch to idm melodies and Little Bitchard is one of the best producers I know. And fifth, but by no means I would like to mention that I have special love for Willbe's tracks. Since the Orion days and lately especially the 'We Compute Each Other' from the Cocoon demo "Coma (On the Dancefloor)". Again, hard to pick just one. But at least the soundtrack for Art by Haujobb is a very personal one. It's an ambient track with minimal computer generated samples - all the 'pads' are in fact played by guitar with a veeery long delay and some reverb magic. I also still like the Time Index soundtrack, even if it was the first one made with Kb's v2 synthesizer and I didn't know how to use that thing back then - perhaps that's why it turned out pretty. Normally I don't have any grand plans or anything like that... A typical Melwyn soundtrack begins with jamming either with guitar (which is my main instrument) or keyboard and sometimes something good comes out of it. If someone asks specifically a demo or intro soundtrack and there's already for example some of the graphics ready it's easier to get into right mood and think what would be fitting for the theme. You work in the game industry as well, you told us earlier. What have your experiences been like with this? I've been mostly doing things on the mobile gaming side. You know, all those annoying Java phones and the like. While making a mobile game can be a painful experience, it has some similarities to demo making. You have very limited resources, small screen, short of memory and slow cpu, and have to make best of it. I've been doing also some Nintendo DS development, and hopefully a hobby/indie game to release on that platform later this summer. That's a platform I really like - still quite low-end, but on the other hand fast enough for most of the things I want to do. Touchscreen and microphone added on top of that gives an unique platform and ideas what can be done. What are your favourite demos and intros? You told us you are also in Haujobb. Haujobb seem dead. Will any new serious production(s) come up or is Haujobb part of the demoscene history books? Who knows... It's true there haven't been any releases now for 2 years, but one day perhaps? Have you ever considered making a CD? In fact, yes. But not with computer music. As I mentioned before, my main instrument is guitar and I have also a band where I play it (and no, I'm not talking about David Hasselhoff Big Band :). The band is called Kindly Ink and doing indie rock. And as we speak, we should have our first EP release ready around May this year. Co-incidentally, recorded and mixed by Little Bitchard. What is it like to live in Finland? Thanks to global warming, it's not as bad it used to be. :) Still very cold and icy during the winters, but if we forget the climate Finland is a very nice country to live in. In the current world state it's nice to be in a country that's stable and considered a rather safe place to live in. Also, we have still lots of intact nature, all the forests and the lakes. It's easy to go wandering in the woods if you want to be away from the civilization for some time. Mad props out to Deus Ex Machina, to Valium Design, but not to Ephidrena and see all of you at Breakpoint and at Scene.org Awards! And if you're into rock at all, check out http://www.myspace.com/kindlyink - it will have hopefully very soon new content and fresh songs.